Param Vir Chakra Receiver Captain Gurbachan Singh Salaria was an Indian war hero who fought bravely and died serving his duty but never lost the self-belief of winning the war. He was a brave captain who showed his valor in Congo Crisis battle. The character of Captain Gurbachan Singh Salaria was showcased in TV serial Param Vir Chakra in 1988 which was played by actor Brando Bakshi. A village near Shakargarh, Janwal (Now in Pakistan), saw the birth of the Indian Military war hero on 29th November 1935. His father’s name was Munshi Ram and his mother was Dhan Devi. He was the second child among their 5 children. His education started at Chail Military School in Shimla and after that, he moved to King George Royal Indian Military College in Jalandhar. At the National Defence Academy of Khadakwasla, he was in the ninth batch with a cadet number of 1317. On 9th June 1957, Captain Gurbachan Singh Salaria was commissioned in 1st Gorkha Rifles. His posting was in the third battalion. Salaria got posted in Congo with his battalion in 1961. In the same year India sent a brigade of around 3000 men to help the U.N. force, when civil war developed there after the Belgians left Congo. Katanga’s leader Tshombe was angry due to this and this caused a lot of violence there. On the 5th of December 1961, the Gorkha Rifles were given a task to clear the roadblock established by the gendarmerie. The planning to do the task was done. Two vehicles attacked the block and Capt. Salaria with two soldiers forced in through the block breaking it. So as per the plan, Capt. Salaria arrived there with his small team of soldiers. When the Param Vir Chakra Receiver Capt. Salaria reached at a distance of around 1500 yards from the block, their team faced heavy fire from automatic and small arms from a position which was not detected. Salaria just had a small team while the enemy had a team of 90 men with 2 armed cars. Capt. Salaria stood like a rock before the enemies. He knew that if these people escape, they can create further problems for their team. So he decided to uproot their opposition. He led the charge of the team which had only a few weapons like khukris, bayonets, some grenades and a rocket launcher. This was one of the bravest attempts seen in the army. Our Indian Military war Hero, Capt. Salaria killed nearly 40 enemies and also destroyed their two armed cars. The enemy was superior when it comes to the number but they were nowhere near the self-belief of Capt. Salaria. This unexpected operation broke the back-bone of the opposition and completely demoralized them. Captain Gurbachan Singh Salaria was wounded heavily by enemy fire but he continued to fight unless he collapsed due to the bleeding. The brave actions of Salaria brought fear in the mind of enemies and they submitted. The UN force saw success but Salaria was not there to taste the success of the victory as he died of his wounds. 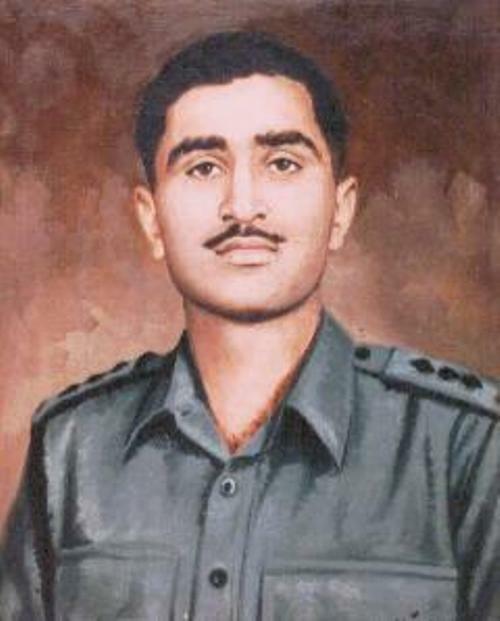 For his high gallantry actions Captain Gurbachan Singh Salaria was awarded with the Param Vir Chakra. Such brave person does not tell anybody to do anything but they lead by own examples which bring the courage to fight in others. Indian Military war Hero of such heart is found seldom in any country. They love their work so madly that they can do anything for it. Our army is always full of such heroes and Captain Gurbachan Singh Salaria was one of them. No one can harm the civilians when we are protected by such heroes with such self-beliefs.